i was sailing at southport on Saturday and had noticed that the Nacra 5.8 was sailing with a square top sails and i said that you would need more than a 8 to 1 main sheet to run this sail and they said that they now run a 10 to 1 all this improvement with no reduction in handicap. So the question is can we change our boats to improve boat speed with no handicap reduction ? I don�t believe so, Brett. The Yachting Victoria Yardsticks (which from my perspective should simply be adopted as the default Australian Yardsticks) operate on the basis of class-approved specifications / rules. By their own admission they have evolved to give Race Officers guidance in running fair racing amongst mixed-fleet competition. Indeed, they make mention of the ability for race officers to adopt �locally derived� yardsticks to accommodate variations in local conditions should these prove influential to fair sailing. According to various websites, the Nacra 5.8 is a one-design class, with a pin-head sail identified within their standard specification. 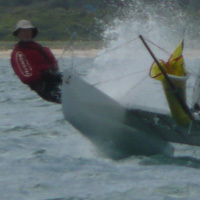 In an ideal world, competitors who have made modifications such as those you have observed would be up-front with the Race Officer responsible for any event being held, and an adjusted yardstick worked out (based upon other variations within classes identified within YV Yardstick) to accommodate fair sailing for all. In the real world, I am sure Race Officers do not mind competitors making them aware of any such modifications within the fleet which have the potential to unfairly influence results. Last edited by JeffS; 04/06/16 05:50 AM. The full carbon Mossie is still constrained by minimum class weights so there is no reason for the yardstick not to be relevant. I'm assuming the Brisbane Catamaran Centre and/or a class rep have contacted the VYC and advised them to the changes to class rules so the rating can be adjusted for next season. There is no sailing advantage on carbon hulls. We have a min weight. A 16sq now has 80 with square top and a plus 1 point adjustment for pin head. It would seem reasonable that same should apply to a 5.8. Why change the sail if it has no advantage....? But it is ok to change the sail plan...but not the hull? Really is moot though for us. Mixed fleet sailing is always a crap shoot with handicaps. So many variables depending on the conditions on the day. Just have to sail and enjoy the sailing. I would add that, from what I've seen the square top sail is adopted more for it's look than it's performance. 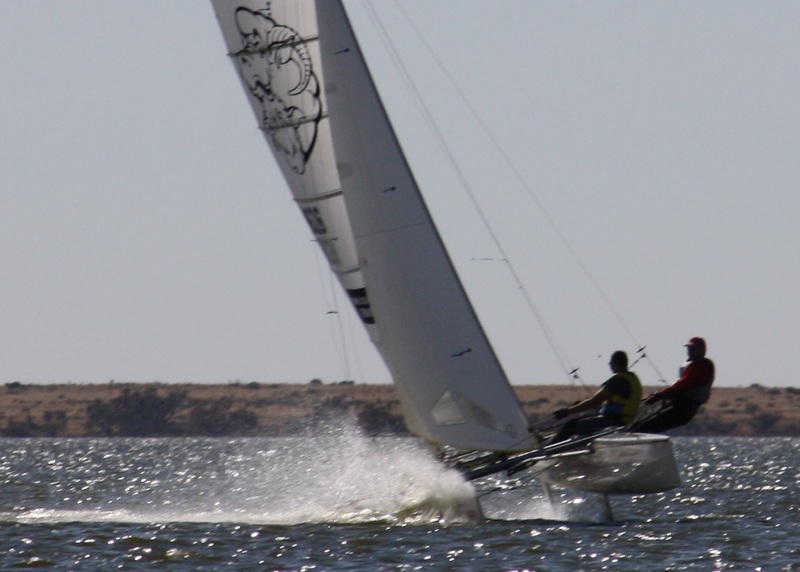 Unless the boat is designed for it, the square top can be hell downwind on a windy day. i have heard from others that the square top is more forgiving sail than the pin head. Controls the boat more. Its not that much faster. Jeff, would you mind taking a photo of your pin head and square top laid over the top of each other? I would be very surprised if the square top is not considerably bigger. here is a photo of the nacra 5.0 sail, you can clearly see it is the same luff and foot length. the only real noticeable change is the addition or more sail cloth in the head of the sail. Apparently the 5.0 is significantly more powered up and is much faster off the breeze.